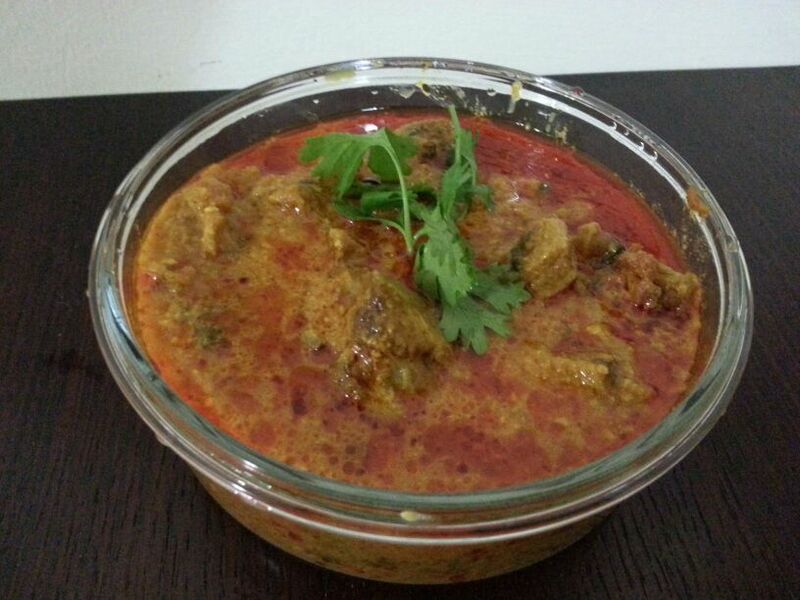 I prepare mutton masala very often as it is very easy to make and tastes really good. I prepare chicken masala also using this same recipe and preparation method with minimal changes. Mutton masala can be made in a gravy/curry consistency or can be cooked to the consistency of a semi-gravy or can be further cooked to keep very little masala coating the mutton. Mutton masala can be served with rice, bagaarya chawal, khichdi, any naan, roti or bread and as a side dish with daal chawal, rasam and rice, curd rice etc. 1. In a pressure cooker or a cooking vessel heat oil. 2. Add onions and fry till translucent. 3. Add the mutton pieces without any water and mix well. 4. When the mutton pieces start changing color add the ginger garlic paste and fry for a minute. Add coriander leaves. 5. The mutton will release some water. Let the water dry on medium flame while stirring. 6. When the water has almost dried, add salt, chilli powder, turmeric powder and coriander powder and mix well. 7. When the water has completely dried add yogurt and stir. 8. Add the chopped tomatoes and cook till the tomatoes turn tender and soft. 9. Add some water and either pressure cook or cook covered till the meat is tender. 10. Once the meat is cooked you can adjust the consistency of the gravy/curry by adding water as required. 11. To turn into a semi gravy, cook on medium flame while stirring to achieve desired consistency. 12. To turn into a side dish with very little masala, keep cooking on low flame stirring regularly till oil starts separating.